Adventure Time, folks, I think perfect. A beautiful spirited and human experience that rooted itself in the minds of both its adult audience and its target audience of kids and teens. But especially the kids. 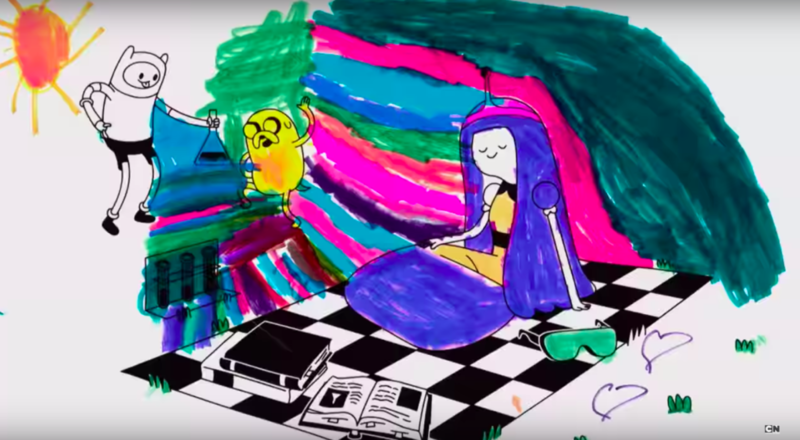 Adventure Time made sure not to forget what made their cartoon the powerhouse by releasing the video for the beautiful end theme for the TV show, “Islands”, by Ashley Eriksson, with one incredible twist: every part of this animated video is colored in by the kids. The fun colors, the messy colors, the obvious and sloppy use of marker, colored pencils and crayons is on display in this incredible showcase of style, color, and the freedom of childish expression that Adventure Time has been so masterful in capturing. The video result is trippy and beautiful. 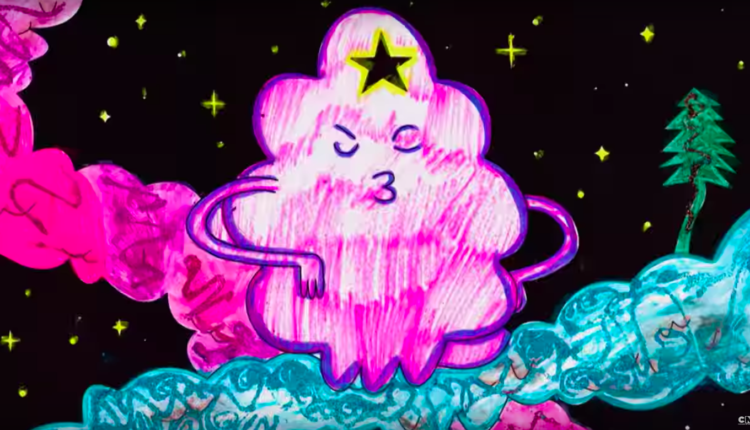 Just as Adventure Time was the result of so many beautiful and individual voices contributing to a piece. Some of the coloring is neat, some of it is sloppy, some of it is unfinished, and some of it is very doodley, with kids adding their own little sketches into the margins. 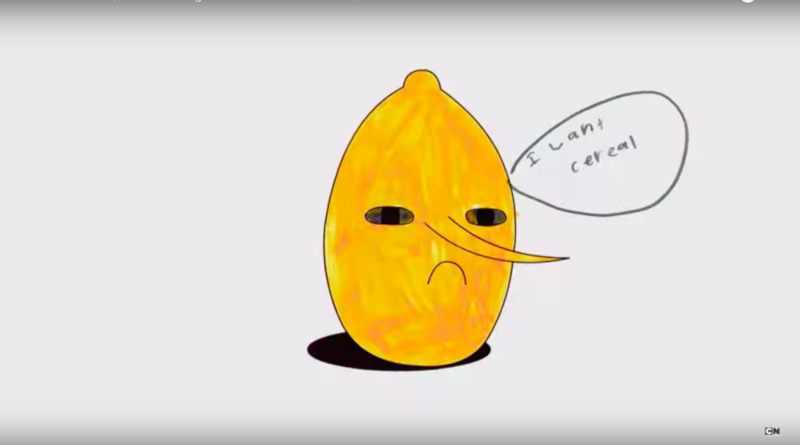 My favorite is the sketch of Lemongrab saying “I want cereal”. Humor done by kids is truly the greatest humor. Heavenly stuff. The Adventure Time video is meant to celebrate the soon to be released complete soundtrack of Adventure Time and the Complete DVD Box Set on May 3rd, 2019 and April 30th, 2019 respectively, and we can’t wait. 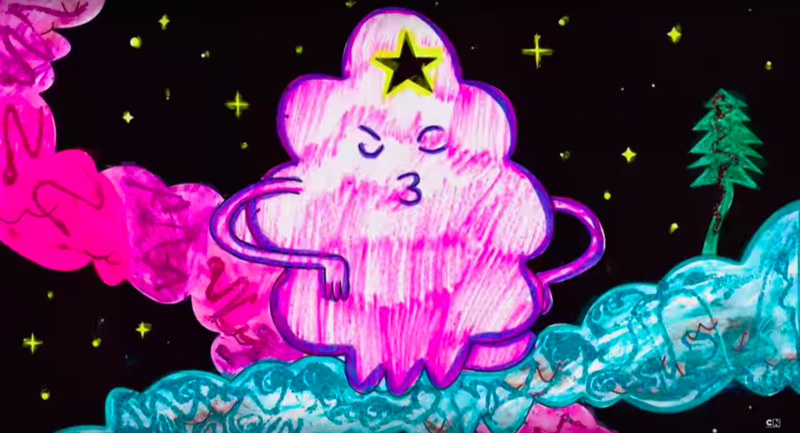 Adventure Time was this writer’s favorite show, maybe of all time! And Rebecca Sugar’s final song, “Time Adventure”, which reflects back on the beauty of a period of time caught and stuck in a bottle, impossible to touch by those who remember it, and it’s all an experience that’s “to happen, happening, happened”. Watch the song below, so beautiful, it’s even made Jake actor John DiMaggio cry. Beautiful. What do you think of the child colored music video? Let us know in the comments or on Twitter at @WhatsTrending, and if you’re into cartoon cuteness, check out our video about flying just like the “Up” house, below!